The entrance to Harvard Yard, in Cambridge, pictured April 30, 2018. With the elevation of Brett Kavanaugh to the Supreme Court, conservatives are closer than ever to a long-cherished goal: outlawing race-based affirmative action in college admissions. And the case that could end a five-decade experiment in promoting equality, righting past wrongs, and building a fairer society starts Monday, at a federal courtroom in Boston. At least on paper, the question before a judge is whether Harvard University actively discriminated against Asian applicants. Harvard contends that it follows the law, which allows for schools to consider race as part of a holistic admissions process. But the plaintiffs in the case aren’t simply asking the courts to right any wrongs committed against Asian applicants. They’re asking the courts to prohibit colleges from ever asking or even learning the race or ethnicity of applicants. This is a breathtakingly aggressive remedy that seems certain to end up before the Supreme Court. Americans want disadvantaged students to get a leg up. Socioeconomic preferences are the best way to promote diversity on campus. Building a class of freshman is a zero-sum exercise. There are only so many seats. But college admissions society-wide is not a zero-sum exercise, where one group’s advancement comes only at the expense of another’s. We all benefit from generations of business leaders, politicians, teachers, doctors, lawyers, scientists, and academics that reflect the diversity of our nation. A ruling against Harvard on the terms the plaintiffs seek also threatens to muzzle students and shackle college administrators. Harvard supporters contend that admissions officers potentially couldn’t learn the name of applicants, interview or recruit them, or watch videos of athletic or dramatic performances. To be race-blind is to be simply blind. Make no mistake, Students For Fair Admissions, the plaintiff, is being used by its founder, Edward Blum, a long-time conservative activist, who has fought to end race-based affirmative action through a variety of cases. In the most famous, Fisher v. University of Texas, a divided Supreme Court upheld the rights of universities to consider race as a part of the admissions process. The courts should respect this precedent for several reasons. Diversity on a college campus is important not just for its own sake — it also enriches the educational experience, strengthens communities and workplaces, and enhances economic competitiveness in a globalized world. Beyond all that, though, is the fact that race-based affirmative action is a necessary — though politically unpopular — instrument to address the inequity among many groups of Americans. 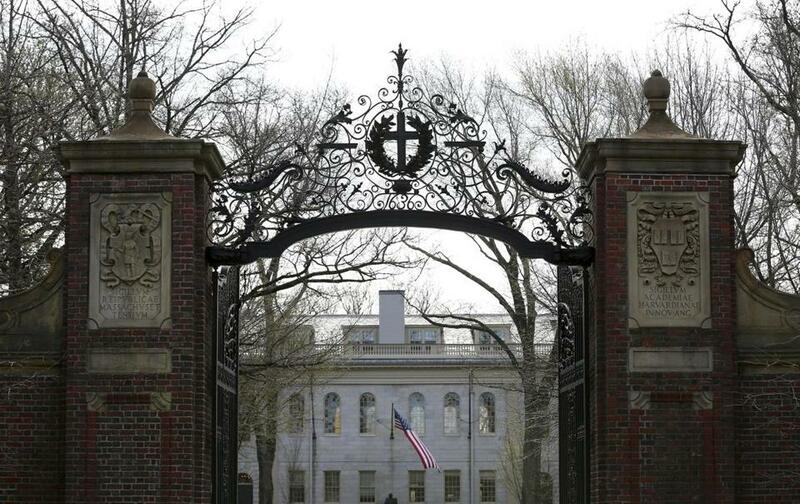 While Harvard makes for a high-profile defendant, it is a bad representation of higher education nationwide. There are more than 4,000 colleges and universities in the United States, and the vast majority are nonselective. Of the 1,254 schools ranked by US News and World Report in 2016, for instance, nearly 80 percent admitted more than half of the students who applied. High stakes admissions is limited to the country’s top-tier schools. And even there, the use of race in admissions is only a small part of the equation. The most important factor for any applicant is the one thing that they have full control over yet can’t change by the time they apply: their high school grades. MORE PEOPLE GO to college now than ever before. When the Civil Rights Act passed in 1964, 14 percent of whites 25 to 29 years old had attained a bachelor’s degree. Only 6 percent of blacks were able to do so. By 2014, 41 percent of whites that age had a degree. Yet only 22 percent of blacks had one. Of the 21 million students in the higher ed system, 58 percent are white, 17 percent are Hispanic, and 15 percent are black. But those raw numbers are also misleading. At the country’s top schools, black students make up only 4 percent of undergraduates. In the Ivy League, that number jumps to 9 percent. These numbers put the lie to a central thesis of white-grievance politics — that white people are the true victims of discrimination. 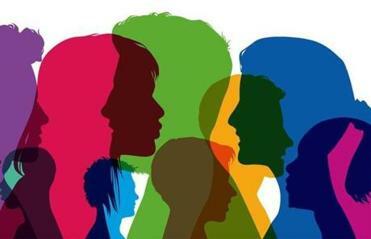 Surveys show that some 55 percent of white Americans believe there’s discrimination against whites, and 11 percent claim to have been boxed out of a college spot because of it. Appeasing angry whites is almost certainly behind the Trump Justice Department’s siccing the Civil Rights Division on colleges like Harvard and Yale for using race in admissions. The Department of Education rescinded its endorsement of race-based admissions this summer. But if the Trump administration were really interested in stopping colleges from giving one group an unfair hand up, they’d prohibit them from considering gender. Women have better grades, higher test scores, and make better college applicants than men. Indeed, they make up 57 percent of all college students. In the interests of relative gender parity on campus, many colleges admit lesser-qualified men and reject more qualified women. Schools do this in part because college is about more than just the classroom. It is about creating a community of people who study together, live together, fall in love with each other, play sports together, and form bonds that will stay with them for a lifetime. Sometimes more than a lifetime: Often called “white affirmative action,” colleges give special preference to legacy students — the children of alumni — and the children of big donors. This practice disproportionately helps rich white students to the exclusion of black and brown students who are more likely to be the first in their families to attend college. A college degree adds millions of dollars to a person’s lifetime earnings, and policies like legacy admissions cascade those benefits down through the generations. How much does it pay to have had a relative go to Harvard? According to documents filed in the case, the admission rate for legacy students was 34 percent, while the admit rate for non-legacy students was 6 percent. More than 21 percent of admitted white students were legacies, compared with 6 percent of Asian students and 5 percent of black students. Another generational factor that plays into who gets a seat in Harvard’s freshman class is geography. The richest zip codes have the best schools, and the best schools send the most kids to college. The poorest places often have the worst schools, and that’s an impossible fact to separate from race. Decades of discriminatory housing policies have concentrated poverty — and the poor schools that follow from that — in black communities. That’s just one problem with simply replacing race-based affirmative action with similar preferences based on income. A second problem is the fact that there are more poor white people than poor black people. Putting a thumb on the scale for poverty writ large would simply benefit more whites. And what of the Asian students at Harvard? If race were totally removed from the admissions process, their share of the freshman class would rise modestly, from 24 percent to 27 percent, according to court filings. White students, meanwhile, would see a bump three times as large — increasing their share of the class from 40 percent to 48 percent. If the goal is to make Harvard white again, stripping race from admissions is the way to do it. Considering race as one of many factors in admissions can help correct past injustices while enriching the college experience. Continuing its modest deployment in admissions will not overnight remedy the historic inequality currently plaguing American society. But it is an important tool and one that the court should uphold.